Juluis Ordoñez (right), founder of Benchmark Consulting, with Transformational and Management guru and author of “One-Minute-Manager”, Ken Blanchard (left). HIGHEST QUALIFICATION. An ICF coach education is a highly recognized qualification with credibility around the world. ICF-credentialed coaches demonstrate outstanding level of professional standards. SEASONED COACHES. They were required to have 100-2,500 hours of coaching experience to be certified. HIGHEST LEVEL OF COACHING COMPETENCE. Their coaching competence was evaluated by a globally recognized body of expert mentor coaches and they seriously take on-going professional development. IMPECCABLE INTEGRITY. They abide by a strong Code of Ethics and ICF sanctions them if they violate these. In short, you are safer in their hands. The International Coach Federation (ICF) is the largest global organization of professional coaches with 20,000+ members in 110 countries. It is the leader in establishing both ethical standards and coaching competencies worldwide and awards the only globally recognized coaching qualification. ICF is dedicated to advancing the coaching profession by setting high ethical standards, providing independent certification, and building a worldwide network of credentialed coaches. 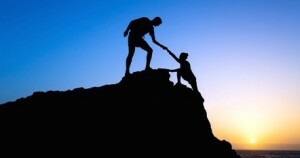 Coaching is a distinct service and differs greatly from therapy, consulting, mentoring, or training. ICF defines coaching as partnering with clients in a thought-provoking and creative process that inspires them to maximize their personal and professional potential. For more information, visit www.coachfederation.org. 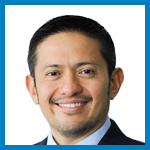 Julius Ordoñez is the President and owner of Benchmark Consulting. 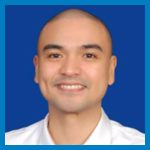 He is one of the few executive coaches in the world and the first and only coach in the Philippines to attain the Master Certified Coach (MCC) credential, the highest level of certification granted by the International Coach Federation (ICF), the recognized authority of professional coaching worldwide. 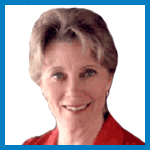 Belinda Merry coaches leaders and emerging leaders to have increased sustainable energy. 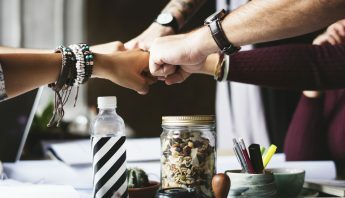 Her coaching clients include executives and senior managers within organisations, small business owners and a handful of newer coaches whom she supervises and mentors. Some of her clients include companies such as Shell, ANZ, Seek, IAG, Westpac, John Wiley & Sons, CBRE, government departments and owners of SME’s. 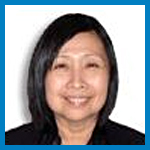 Foo See Luan, having worked for more than 35 years in the business world, knows that clients everywhere are searching for meaning, purpose, fulfillment and well being. Leaders and managers are being asked increasingly to lead and perform in an incredibly complex interdependent global economy. Rather than attempting to be all things to all people, they are challenged to focus on the vital few and doing them well. “Changing the world one person at a time” is Mela Chamberlain’s personal mission as a Professional Coach. She brings with her over ten years and 700 hours of one-on-one coaching, backed by over twenty-five years of rich experiences in the various fields of Leadership and People Development, General and Sales Management, Personal Financial Planning, and Entrepreneurship. Her effectiveness as a Coach comes from her passion for making a difference, continuous learning and self-improvement. 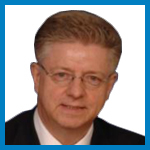 Francis del Val has over 3 decades’ experience as a general manager, marketer and strategist in FMCG, pharmaceuticals and banking. The past twelve years was spent living in London, Singapore, Kuala Lumpur, Bangkok and in between, running businesses in Asia, Brazil, Russia, Mexico, the Middle East, China and Asia Pacific. 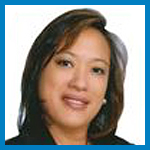 Francis is a highly energetic, passionate business and marketing strategist. 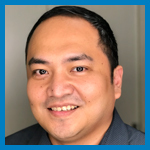 Vince Dizon has a natural ability to connect and relate with workplace leaders since he brings with him fresh corporate operations experience with diverse personal exposure from top to bottom of business settings here and abroad. 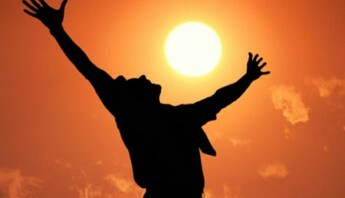 He is driven with a personal purpose of partnering with people through coaching to transform them to be the best version of themselves and bring them to their fullest potential. 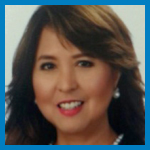 Diwi Panahon-Rocha brings into her coaching practice a very strong sense of faith and work-life balance. 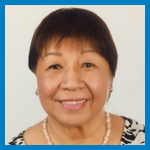 She has devoted over 30 years of her professional experience in leadership and management, specializing in the field of organization and human resource development, with background in Sales, Product and Training management. 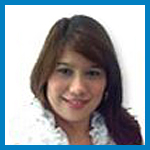 Ten years of her career were spent with various multinational and national companies as a Consultant. Josef “Popo” Soller is one of the active drivers of putting more emphasis on the preventive aspect of overall health in the healthcare system of the Philippines. Using life coaching as his main tool, Popo aims to guide and equip people on their Wellness, Life Vision, and Personal Development. With his strong ability to connect with different kinds of people in their passion points, a session with him is always fun, memorable, and transformative. 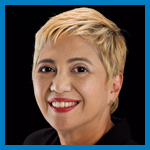 Maria Luisa “Luchi” D. Vitales is a professional coach accorded with credentials by the International Coach Federation (ICF) USA, and GALLUP, USA as Strengths Coach. She has helped in the transference of coaching knowledge through the conduct of workshops and coaching sessions to individuals and teams at the top management, to middle management, and entrepreneurs, in a wide range of industries. 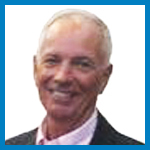 Nel Cacnio considers coaching as his calling as it has always been his passion to help others grow and develop and reach their fullest potential. 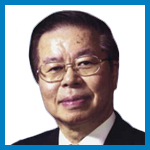 His career gave him the opportunity to grow and develop strong leaders in the organizations he was part of. 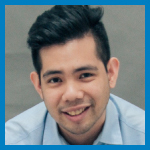 After personally going through an executive coaching experience with Mr. Julius Ordonez, Nel realized that coaching will allow him to do what he is most passionate about. 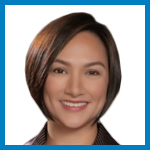 Rachel C. Consunji’s fundamental skill set lies in her ability to help individuals, teams and organizations uncover their true strength towards becoming better versions of themselves. Her genuine desire to contribute to the development of others, her belief in the power of process, backed by her profound understanding of human and organizational behavior allow her to determine, create and implement fitting and successful interventions to her clients’ needs. As an executive, the focus of Serge de la Fuente has been in developing people to assume higher responsibilities. In fact, many of the managers who have worked with him have progressed to assume executive positions themselves. 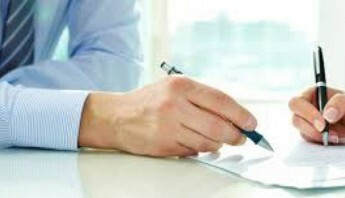 Thus, it was logical for Serge to pursue a second career in Executive Coaching, for his management qualities and experience have enabled him to draw out the best in people. 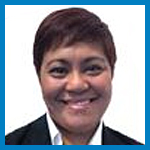 Trixy Gabriel wields a rich combination of training and coaching competencies anchored on an extensive academic and corporate background which she seamlessly blends with her role as a training consultant, facilitator and coach. 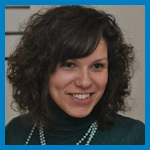 She is a Global Member of the International Coach Federation (ICF). She started her career as an educator and school administrator, teaching students at various levels and supervising teachers. 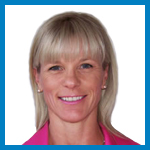 Linda Hearne is the managing partner of Benchmark International and the president and founder of High-Impact-Coaching, both in California USA. She has a wealth of corporate experience having held key positions in sales, marketing, project management, training, organization development and operations in various industries including high tech, biotech, pharmaceuticals, consulting, manufacturing, training, engineering and finance. 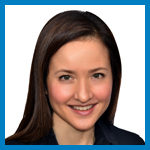 Alma Horn is an Executive Coach and an independent HR Consultant with focus on Talent and Leadership Development and Succession Planning. 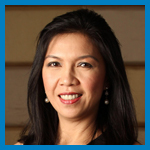 She coaches senior executives in various industries. Alma is a member of the International Coach Federation (ICF), the only independent, globally-recognized accrediting organization for coaches worldwide. 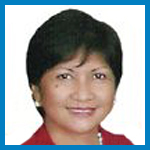 She was the Community Relations Chairperson of ICF Philippines Chapter in the past. 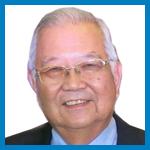 Jose Nemencio M. Lim brings into the coaching practice over 30 years of business success in top leadership positions in the pharmaceutical industry both in the Philippines and abroad. 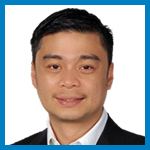 He was Managing Director of GlaxoSmithKline Vietnam/Indochina and GlaxoSmithKline Thailand Ltd. Before his foreign assignments, Nemy headed the sales and marketing functions of GlaxoSmithKline Philippines Inc.
Katherine Limjoco has over 20 years of experience in the corporate and business world in Marketing/Advertising, Sales, Account Management, Human Resource Relations, and Recruitment, both locally and in the US. Katherine’s passion for coaching stems from a spiritual ideal to fulfill her life’s mission by being a collaborative partner (and gift) of change and transformation one individual at a time. Stephen MacDonald’s last 39 years have been spent turning around troubled companies or working in highly volatile markets, all over the world. His assignments have been in the USA, Australia, New Zealand, throughout Latin America, Asia and Europe. 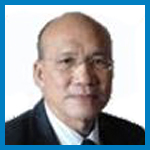 He was the Managing Director of Goodyear Philippines in 1997 – 2000, during the Asian Crisis. During his career, Steve discovered that the most critical factor for success is the quality of people around him. 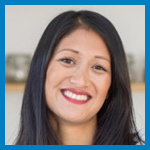 Natasha Muniz is an incredibly approachable coach and instantly puts clients at ease with her friendly demeanor and infectious emotional energy. She drives transformation by facilitating deeper self awareness, clearer goal setting and setting actions to move things forward. She’s on a personal mission to unlock people’s greatest potential, drive their professional growth and promote wellbeing through coaching. 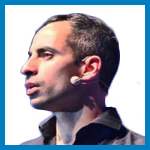 David Ramos accumulates 7 years’ experience in coaching individuals and teams in developing personal and interpersonal skills, self-management and an expression of authentic leadership. 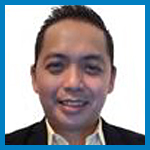 His clients include Teleperformance, Asian Development Bank, De La Salle schools and major actors in the local Game Development industry. As a professional coach, David brings forth powerful transformations to his clients from both the industry and the academe. 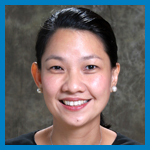 As a coach, Lillian Yambao Reyes easily establishes rapport with her coachee as she is very open and approachable. 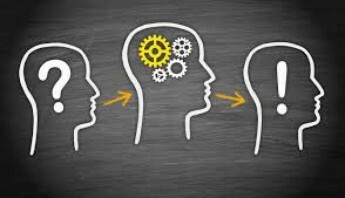 Her strength as a coach lies in her listening skill as this encourages a deeper and more substantive conversation with the coachee. She also empathizes with her coachee and provides encouragement to see the coaching through to its intended outcome. Although she may be considered new to professional coaching, Anjie has always been a natural healer and a keen observer of the human condition. After a long and prolific career in media working as a producer, journalist, and consultant, it’s safe to say that she has seen the world from many different lenses. This has brought her a deep and personal understanding of woundedness and taught her the unique skill of seeing people for who they really are and who they can become. 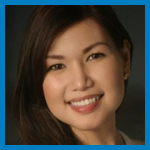 Mia Zamora is a Human Resources executive at one of the Philippines’ largest conglomerates, with experience in the areas of Learning and Capability Development, Career and Succession Management, Leadership Development and HR Operations. Her experience working with leaders and high potential talents from various industries has given her a deep perspective into talent development, eventually motivating her to pursue her passion to become a professional coach.